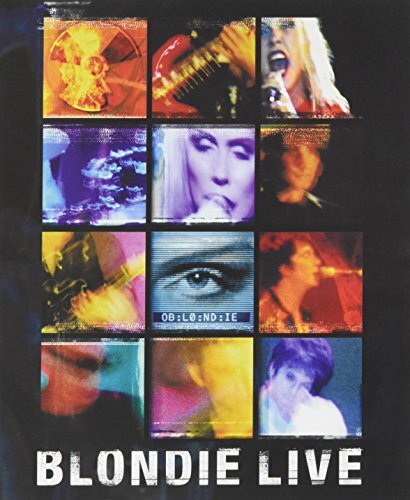 Buy Blondie Live on DVD. Though the pop group Blondie had its heyday in the late 1970s and early '80s, the band managed a lively comeback in 1999 with a new album and a tour, which is documented in this new DVD. Taking the stage and performing the old hits ("Dreaming," "Rapture," "Call Me," "Heart of Glass," "Hanging on the Telephone," etc.) as well as some less familiar songs, lead singer Deborah Harry looks a little older and a little more elegant and matronly, but she still has a punch. The sound on Eagle Rock's new DVD is excellent, and you can really crank up the tunes. Extras include a new music video ("Nothing Is Real But the Girl"), lyrics and photos, and access to individual songs.